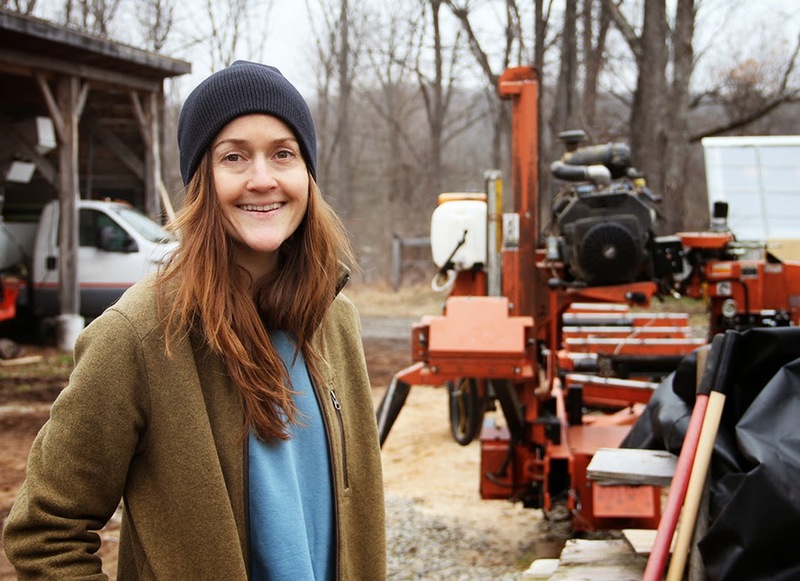 We trekked upstate to visit our Montana-grown / New York-rooted friend Megan Offner, co-founder of New York Heartwoods. Megan is our freshest WAYFINDR, friends of ours that are so rad and proactive that we want to share their stories with you. 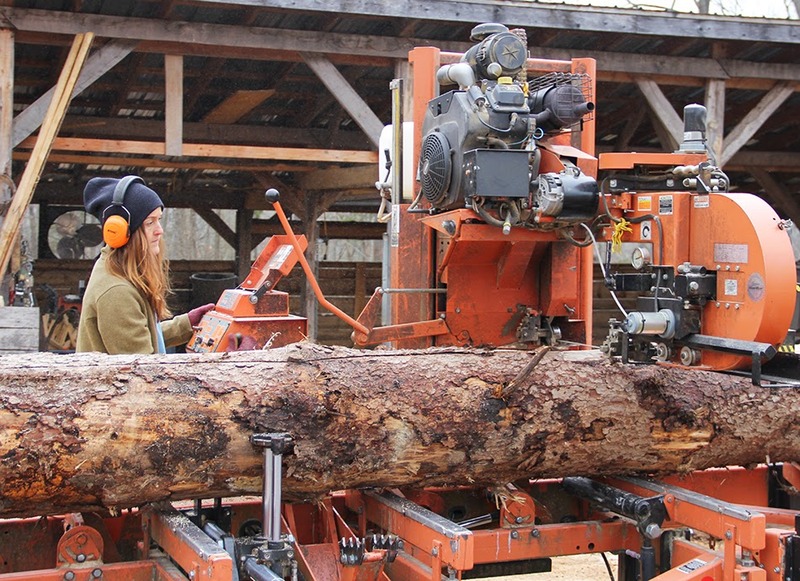 Megan and her woodsmen/women take in already fallen trees and prep them to made into furniture, shelves and other custom projects. 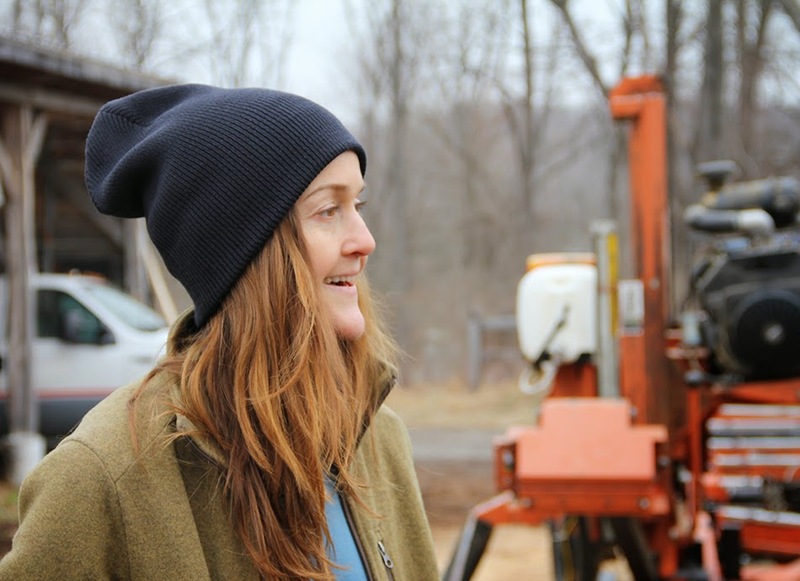 You will find her, work boots on, outside no matter the season or temp (she'll keep warm this winter in our organic cotton beanie :). 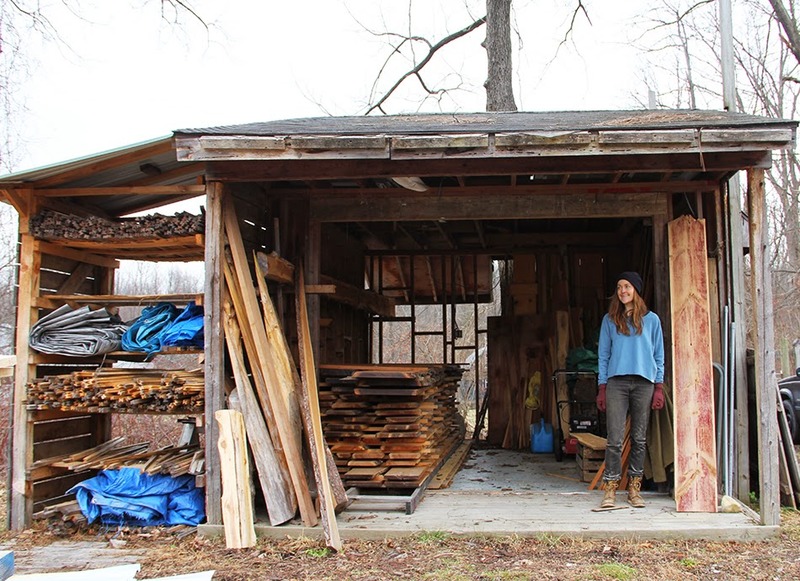 Read on to learn more about this cool gal and her kind-hearted crew at New York Heartwoods. 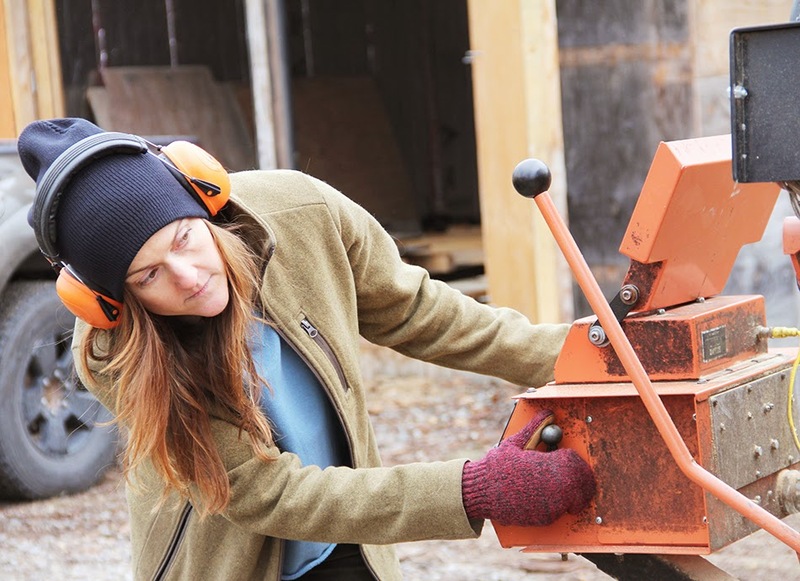 Are you a woodworker, woodswoman, what are you called? I like woodswoman! Formally: Owner, co-founder and creative director. How did you find your way into this craft? I had been in building/design trades for years, love working with wood and have a strong connection to trees. The desire for a meaningful and purposeful livelihood that benefitted my community and positively impacted the environment lead to the creation of NYH. Giant trees don't just find you. Where do you find them? 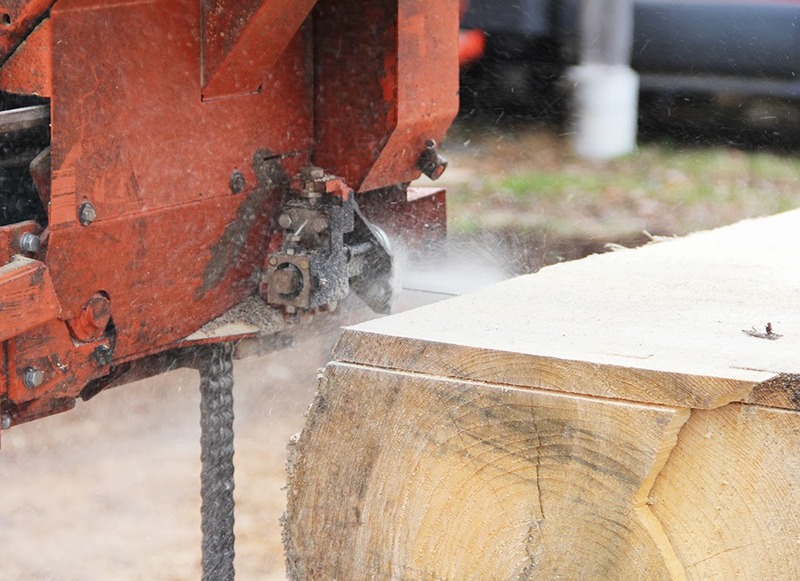 Through relationships to municipal agencies, tree services and landowners. Can anyone come for a visit, a class? Workshops and tours are available for groups and educators. Occasionally, we offer internships and volunteer opportunities. Who is behind the scenes at NY Heartwoods? Joe Eubanks is our main sawyer and production manager. Innis Sampson is our production assistant. Dave Washburn co-founded NYH with me, advises and helps to source logs. 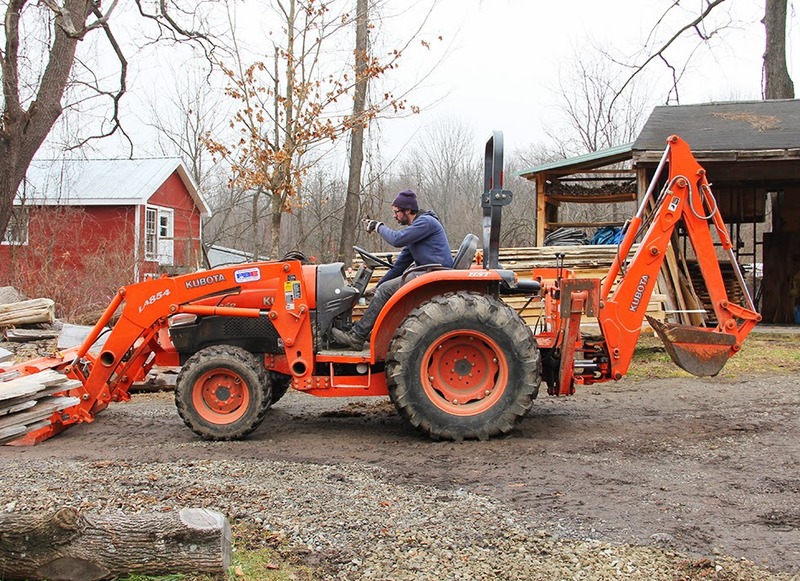 Steve Washburn assists him with log reclamation. 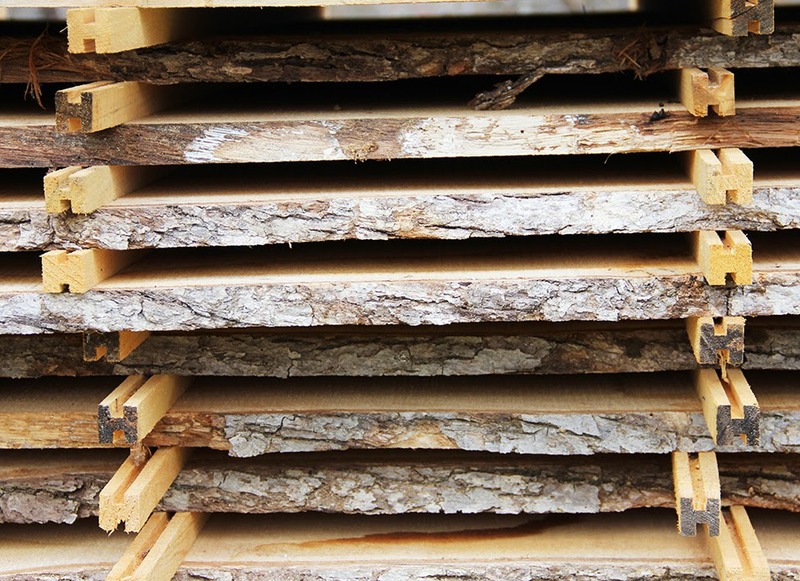 We partner with Bark Frameworks to use their mill, producing wood for their frames in exchange for it's use. Most interesting tree you've met to date? A 150+ yr old sugar maple that had grown around a horse shoe. Growing up in Montana, functionality. Go-to pieces that you throw on before heading to work. 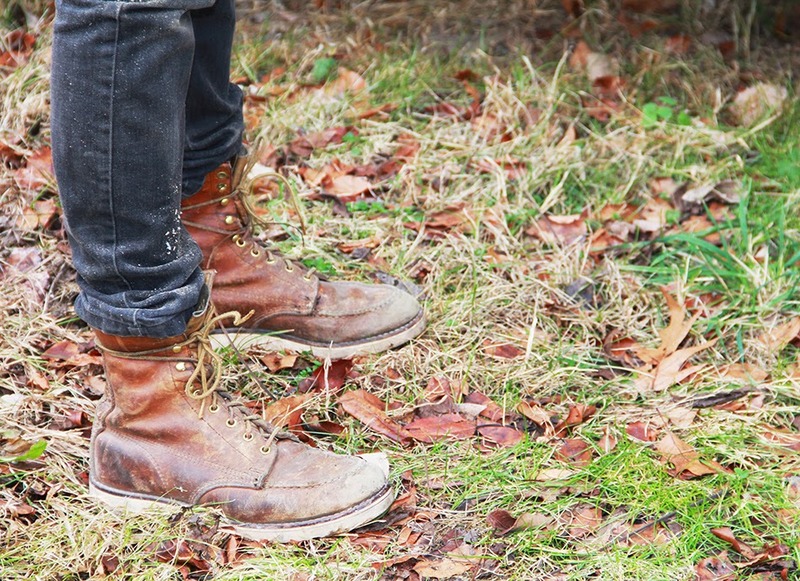 In the winter - long underwear, jeans, all things wool, my 18 year old Sorel boots. On a scale of "sorta cool" to "super functional and rad", how would you rate the Loomstate beanie? Super functional, versatile, easy-to-wear, goes with almost everything, awesome heavy cotton knit. Your dream woodworking project that you wish you had more time to complete? A timber-frame cabin in the woods. What do you love about upstate NY during the winter? Snowy hikes, thawing out in front of a wood stove. 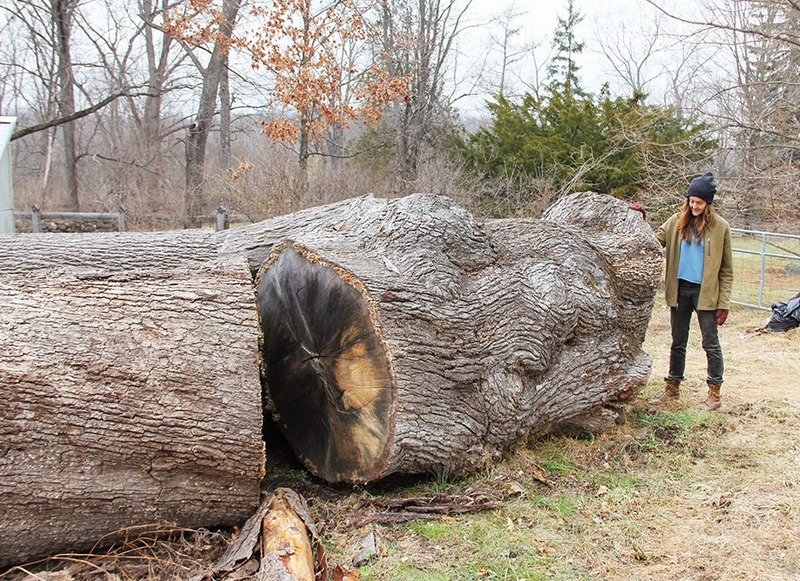 What's in the works for NY Heartwoods? Any plans? 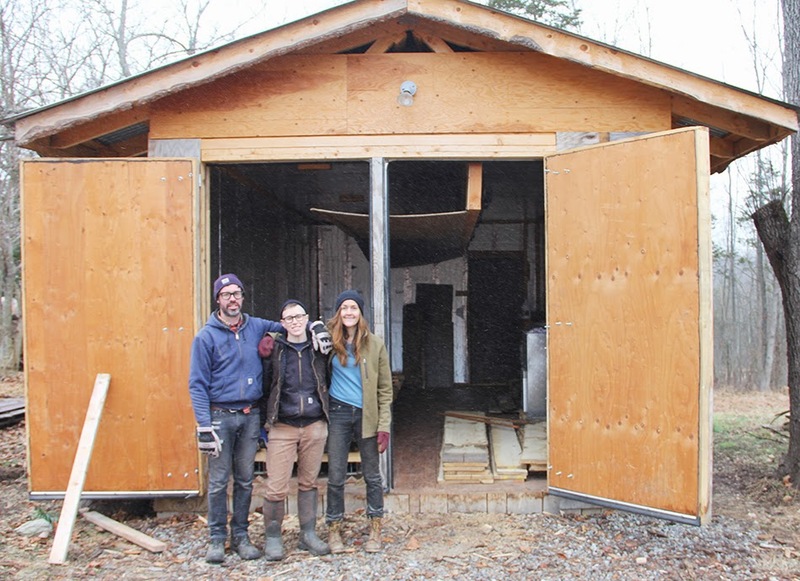 In the coming months we'll be moving the milling side of our operation to Kingston, NY where our shop/showroom already; partnering with more independent sawyers to increase our inventory; and expanding our kiln drying and surfacing/finishing services. With so many talented builders and makers in and around Kingston, it's a really exciting place for us to be.